Neweex Backpack Review – Now you can Travel with Style! Hole Punch Displays – Are they better than Notch Design? Vivo V15 Pro Review – Best mid-range phone 28000 can buy? What To Expect At CES 2019? A phone with 256MB RAM and 512MB of storage, launched in 2015!! It’s 2015 and we have moved far from the days of 256MB RAM and Android Donut, which I think used in 2010 on devices like Xperia X10 Mini, since then we have seen a practical revolution in the [phone industry and it got dominated by smartphones with the power of Android, but not everyone is so far sighted, for example Lava has come up with something which they think will sell like a hotcake as it’s ultra budget friendly- Lava flair P1i, a device which is very affordable, but at the same time poor as the condition of Blackberry now a days. 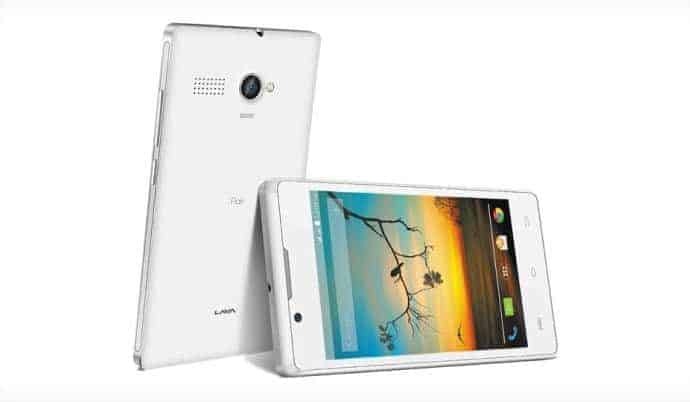 The Lava P1i aims towards holding some market share in the very low budget segment, but the specs disappoints a lot. At a price-tag of Rs.3,299 the Lava Flair P1i is certainly a very bad choice. The phone has a 4 inch TFT Display with a WVGA resolution, pretty average. Okay, fine!! You will now get the most shocking and most ridiculous news about the specs of the device, the Lava Flair P1i holds just 512MB of internal storage, so eventually you will end up with warnings right after you install Facebook and WhatsApp. That’s not all, on such a device they provided Android Kitkat, which will have to run with just 256MB of RAM. There is a 2MP rear snapper with LED flash which is a good aspect, also there is a VGA front camera. The phone packs a 1400mAh battery. So, basically looking at the specs sheet I was just thinking about how will be those techies of lava thinking about going ahead with such low internal memory and RAM? Keep the RAM aside, okay even if we neglect multitasking how would anyone install some apps on the device which has got just 512MB of memory on-board? In the last review of Lava Pixel V1 also I mentioned that despite of their good efforts, have have over looked some aspects which could make the phone brilliant, however i will surely try to get this ‘ultra cheap’ phone and see how it is in action. The phone is available for Rs. 2,919 on Flipkart and Snapdeal. The Contributing writer at iGadgetsworld, a student currently studying B.tech (ECE) in IMPSCET. He is mostly interested in custom ROMs, apps and everything related to Android, though he has a good experience and knowledge about other platforms like BlackBerry and Windows Phone. To meet him or just to say a "hi" follow the social icons below. Vivo V7+: The smartphone which has nothing except selfies? Should You Buy or Build a Gaming PC? © 2019 - iGadgetsworld - Gadgets & Technology Blog. All Rights Reserved.